An astronaut is walking without gravity, or he might be an alien from outer space? Anyway, he finally came to Shizuoka. 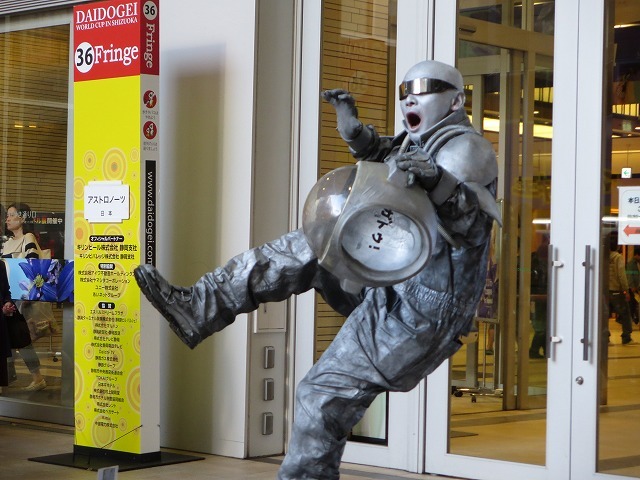 Today, he performed in front of the Shin-Shizuoka Cenova Building where there were many families. An astronaut is a dream job of many children, so he got their attention immediately. 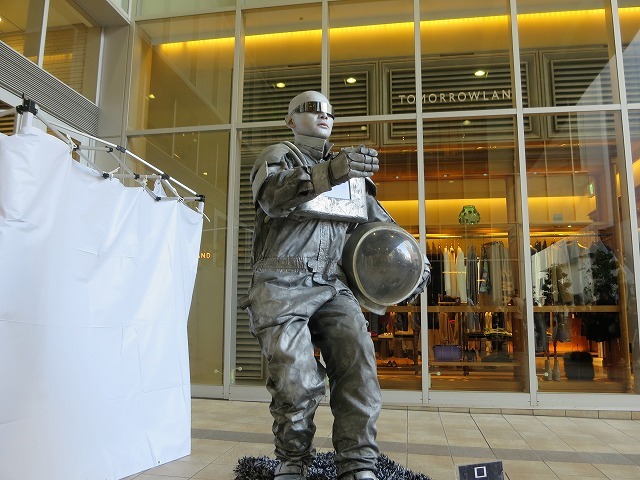 Astronaut needs some money to continue his journey. Children made a line to greet him. As they throw money one by one, he flied, floating everytime as if he had been zero gravity . Even seniors were moved, and made the line longer and longer. What makes him go somewhere? Maybe a hint is in the display on his breast. It repeatedly shows KIRIN and DAIDOGEI typography. He may be exploring some place where nobody knows about KIRIN and DAIDOGEI.